Click on the link at the top and dig around for much much more on this subject! No more transparancy of program trading ! "In order to more efficiently allocate the firm’s resources to meet the on-going and evolving needs of our clientele, USAGOLD-Centennial Precious Metals has decided to replace the open public forum with an in-house, gold-based information service. We would like to express our appreciation to those who participated in the forum over the years, and we invite you to visit USAGOLD News & Views regularly..."
>>> Funny they say this in " France " !? In February 2003, total worldwide Saudi investment, including investment in the United States and Europe, was conservatively estimated at U.S. $700 billion. The United States received approximately 60% of the global Saudi investment allocation. (See exhibit #2). My thinking is that bulk of these investments were made in the early 80's after the huge surpluses of 1970's. Any investment in the US would have done very well. Both UST Bonds and US stocks would have returned 10X plus (interest and dividends reinvested).Plus they must have added a bit to it from time to time. Again my point being that they seem to like paper investments to at least a sufficient degree. Look at more recent holdings..they have bloated a lot more.Again a love of paper. Does not exclude a love of Gold...but would be weird during that time frame of 1980-2000 where they hardly had any money to. I am still trying figure out this Aristotle article. For some reason a lot of it is going over my head. How can we (shrimps) possibly "know" what these top-fortunes are dealing and realing ? They are on top of the world . Their logic is completely different than ours. We can only guess about gold's involvement in their shemes. Let's stick to the basics : If the EU/US paper fortunes cannot *-deliver-* paper wealth fortune ($-imperium) to these privileged anymore,...their special relationships detoriates. Then there comes much more reason to focus much more on the gold-wealth they were allowed to accumulate. Cfr. China (and others). The only way to get out of this gigantic $-debt mess,...is a global devaluation of all fiat paper and derivatives within a global structural change. A floating currency system that will float much less and re-stabilises on a new "global" level playing field. This is only possible by bringing gold back in as the consolidating wealth collateral. It's original purpose ! Gold, is NOT the economy. The economy needs a monetary framework in order to function properly. Gold is part of a sound structure. It are the wealth producers (BRIC) who are taking the initiative for this change and not the wealth owners (Arabian oil/gas). Many states will "fail" en succomb under the debt-Crisis. The Deflationist Knuckleheads at best have it backwards, and at worst continue to be lost." The US elite has a big problem. If they quietly accept that they had been mismanaging the economy and radical solutions are therefore needed, they will have problem maintaining their dominant position within the US political system. "We devalued because a meteor hit the world" or "We devalued because a very big earthquake happened" or "We devalued because Osama bin Laden attacked a critical resource" or ... you name it. I feel, it is very unlikely that they would say "We devalued because we messed up the economy". This brings us to gloom and doom options. I don't believe that gold is associated with gloom and doom. However I believe that US elite would not quietly accept their mistakes. I wish I am wrong. It is interesting to Mishorn on his post about Swedish move to cut rates to -0.25% said they could have a currency collapse. Adding that If Bernanke makes the same mistake he would pay in the same way.Fascinating talk for a deflationist. Here is some more inflation/deflation talk. "In Japan it is shameful to walk away from your home and mortgage, and fear of repossession kept default rates relatively low." Jesse had an interesting post on this subject. He pointed out that it was not just shameful to walk away from your debt, it is virtually impossible in Japan. Mortgages in Japan are "recourse" loans, which means if you walk away, you still owe the debt. They can even go after your future earnings. This enslaves anyone who buys a house. "American residential mortgage default rate hit 12% recently while it was not even 3% in Japan in the 90's." In America, walking away is possible, and it is (in fact) the smartest move in many cases. This is why we will have hyperinflation (devaluation of the dollar). Then there is borrowing by Uncle Sam. The $11 trillion national debt equates to over $31,000 per U.S. person." The US is a country of debtors. They will be rescued by a devaluation of the dollar. The banks would be destroyed. This is why the favored (politically connected) banks are being rescued by the Fed buying debt with printed money. The non-favored banks are being closed and absorbed. The punishment that the banks should have received will be spread out among all holders of dollars over the whole world. And the blame for the devaluation will be put on some external crisis, as Tekin proposed. Perhaps even a European banking crisis. I am not suggesting that an organized Fed devaluation is coming. I personally think that is unlikely but possible. I imagine a forced devaluation through an unavoidable crisis that is imminent. The Fed would be aware of this because it has access to secret data. The Fed knows this is coming soon. This is why it is not afraid to do everything it is doing right now in plain view. Monetizing, buying up the stock market, etc... This is the fleeing rats. The scorched earth retreat. The rescue of the insiders. Self preservation. "It's completely rational and clearly in the best interest of America to repudiate foreign debts and subject the dollar in harms way. Foreigners don't have political representation in the US, so why would an average Joe work to pay foreigners? It's far easier to debase the currency." They are debasing the currency in a way that favors (rescues) the insiders, all the while claiming to save the system. These claims, combined with the "green shoots" are cover for when the crisis hits. They are setting the stage to blame the external crisis that will force devaluation of the dollar and rescue America from its debt. This devaluation will also kill America's credit rating. This will kill the "socialist dream". I think their hope is that the blaming of the external crisis will reduce everyone else's credit too. And that under the new, devalued regime, they will still be able to borrow. The alternative is governmental austerity and a return to production. They are aware of this which is why all the insiders are loading up with cash right now. They think, "if America must return to production and hard work, at least WE won't have to participate. We'll be LOADED." This is what I think is going on right now. Have check on that tomorrow. Still have to check on SA as well. Meanwhile here is some discussion on reserve currencies. Andrew Freris mentioned the duality of marked to market risk and US dollar devaluation for China. He said "they lose both ways". This is the duality I was talking about with the markets, if you are in paper investments. You have to multiply the paper loss and the dollar loss! If the bond market collapses (interest rates for borrowing skyrockets) then they get decimated on the liquidation value of the bonds they hold. And then if the dollar ALSO devalues, you must multiply the amount of that devaluation with the liquidation value loss of the bonds to get the total loss. This applies not only to China but to the entire $IMFS. All paper investments denominated in dollars. The other notable comment was that the US would like the Chinese to let the yuan rise in relative value. I note that a dollar devaluation accomplishes the same thing. You have to multiply the paper loss and the dollar loss! I see what you mean and don't disagree with the idea, I did disagree with your 99% prediction. The US is indeed working towards a dollar devaluation. They want a soft landing. They still have some tools to try and control the situation. I've said it before, the guys with interest in the dollar also hold quite some powers: they manipulate gold prices and take unprecedented printing action in markets these days. They also have the power to carry out unprecedented interest raises or take some other unprecedented measures to counterbalance what they've done so far. We can doubt that they will do so, or that they will do so timely, but they can do a lot more than many people expect. I am not saying that they'll be able to steer out off this mess, but I am saying that they can try so, and that by trying so they can do a lot more then many people expect. This is correct indeed, Sir. Thanks Fofoa for this posting. I will read it in the evening - it is too complex for a coffee break. I suspected some hat trick like the above but this takes the veil away. What i was really trying to say is that we are in for some surprises, as was already noticed by some (e.g. fofoa). Someone recently said, "One of the few things I am confident about is, some very improbable things will happen. Surprises will occur so often they will become routine. Call it a parade of shockers." Have you read the above post yet? I only ask because you have not commented on it, yet it applies to some previous discussions! I know it is long, but it is worthy of a little time. I dead a quick scan, will read more today or tomorrow. Interesting article, and he does provide some interesting math. Before I can comment more, I need to get some more grip on the maths. However, some good points were made. By the way, I was looking around a bit, but the balances of countries I find quite difficult. First of all I hardly ever find any mention of a net-position; figures of debt and reserve are often separated. Secondly I have hardly any means to check for reliability of the figures, some central banks figures, but I can't always find them. Lastly I wonder how reliable the figures of published are. Who audits the books of say the US. Or China. Or any of the OPEC countries? While these Roosa bonds stemmed the tide of a possible run on the Treasury, they ended up costing America more because the Swiss currency appreciated versus the dollar during the life of the bond. Unless gold was payed to obtain those Swiss francs, but I doubt that. The asking price by oil--influenced by many factors--is what established the dollar's value. This can only be true on the condition of at least somewhat limited money printing. None of that information is in the open. And what is, cannot be believed! Read this. I think you will find it to be an amazing survey (statistical challenge to the consensus) of CB gold movements during the 90's. It is from 2000. And there is more to this story which I am still researching. Indirect references by both Another and FOA clearly lead to the understanding that Another was an insider with first-hand knowledge of these happenings. Perhaps a Euro central banker? If he was only a fraud, why continue for as long as he and FOA did? Many years! FOA said "Our sole reason for writing is a private commission to share official directions and perceptions with the average citizen of the world. Nothing else." If you can buy this one premise, then EVERTHING else takes on enormous gravity. Aristotle's piece is not documented truth. It is very good supposition based on the "leaks" from Another. Remember, these posts were no different than our comments here on the blog. They were anonymous comments on a public forum. Read Anon's comment from today. A very good description of what is unfolding IMO! Also funny how this article again stresses that people rather hold oil than dollars. I recently noticed that those oil tankers floating around might signal a flight out of the dollar into oil. We have seen such a situation before. This could be an interesting signal if it continues. After I read this and the article about the money pyramid it is seems to me it is more correct to think of the bottom/tip of the reverse-pyramid as combination of gold+oil i.e. what I'm trying to say is that in today world the real store of value function is both oil and gold. This may contradict abit because oil is perishable i.e. it is no more once it is used, but ... if we think about it let say in long term contract i.e. i pay today for delivery in 5y. There is two conclusion if my thinking is correct. 1. Oil will skyrocket with gold when this unfolds and will not drop afterwards, but will just be traded around the settled price. This mechanism allowed the Debt and $-currency to grow that much. You said, "it is more correct to think of the bottom/tip of the reverse-pyramid as combination of gold+oil"
This is truly insightful. I am impressed. In today's world, this may very well be the case. I don't know if oil will rise in price as much as gold. Who knows. But unless you can get your hands on a physical oil field that's not under any country's sovereign jurisdiction, stick with gold as the investment par excellence. "Many view oil and gold with basic "commodity eyes". But, I ask you, does supply and demand create the price of these items? On the surface, it does, just as any item. However, look under the cover of public reporting, and we find that, what is being traded is not the actual commodity, but a paper proxy, contracts usually expressed and settled as "various currencies" not the item itself! 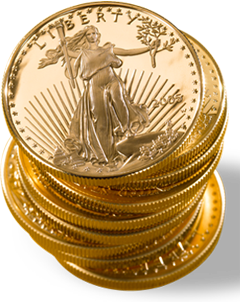 I offer this consideration to all, would oil or gold hold the same currency price if no paper future market existed? Think long and hard on this, if oil and gold were bought and sold "marked to the market" physical for cash, would the USD price stay the same in todays economy? Oil is managed from the standpoint of "supply" not demand, as demand is infinite for this now indispensable substance. >>The world economic need for oil has build our modern financial structure as an upside down pyramid, on oil!<< Every business, asset, debt, currency and army is "priced in currency terms" that reflect a "full supply of cheap oil"! But, what is cheap oil? It is defined in two terms, a currency price that allows a country to operate it's economy in a competitive way, and, in another real commodity price that allows producers to value their product as an asset, not subject to the valuations of the world economy, gold. From this standpoint, one can see the value of managing both oil and gold. For the oil field owner, operating in a "oil consuming" country, there is no value in this form of management! But, from an "oil producing" country, holding world class reserves, a low USD price offeres all the advantages. It produces an ever "dependent" economic system, that, "in real terms of need" "upvalues all inground reserves" with a far higher "future need". That "future need", as expressed in a drive "to maintain current asset values ( dow jones ) " creates the political drive to manage oil prices!" This is very nice article and gave good information.Thanks for the great reading, we buy gold bullion in a recession. I will pass this on to our ira clients to read. Hi FOFOA, I feel enlightened in many way by reading your postings. Many thanks for the big picture view. I am currently hoarding as much bullion as I can!! Principally I buy gold from here. at Bullionvault. I hope this is a good vehicle for private gold bullion ownership? Any thoughts? I would have to regard this post as the update of 'The King And His Gold' I asked about! Don't know how I missed this one till now. Has effectively filled in the part of the timeline I was missing mentally. Quite different in content from your posts of the last six months or so, and ironically, (as it is a decade old and dealing with the '70s and '80s), makes me feel more acutely the very real possibility of black swan at any moment. I now understand more precisely your emphasis in call-me-contrarian and synthesis on the snapping rubber band. On behalf of all shrimps, I want to thank you for your efforts in writing and maintaining this blog. It is keeping the door ajar for more of us.